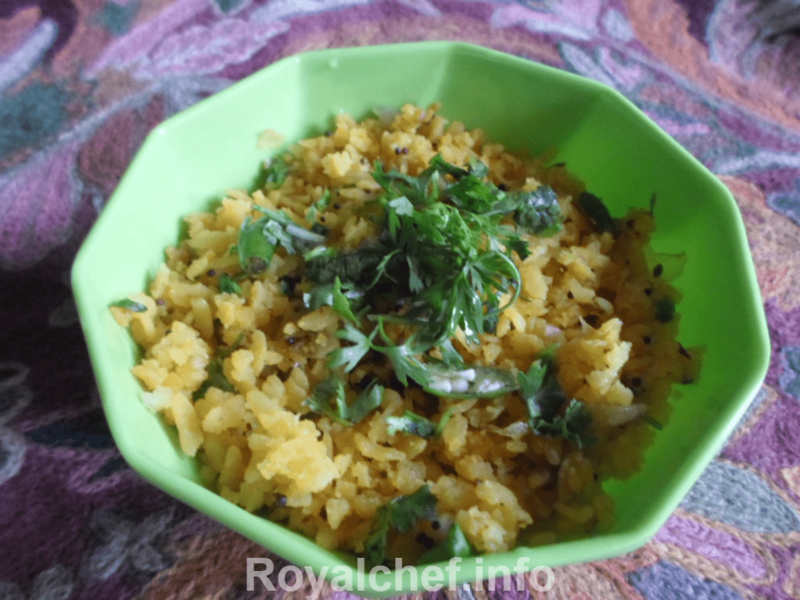 This is a Recipe for preparing at home Chinese Poha (Maharashtrian Poha with Chinese Tadka). 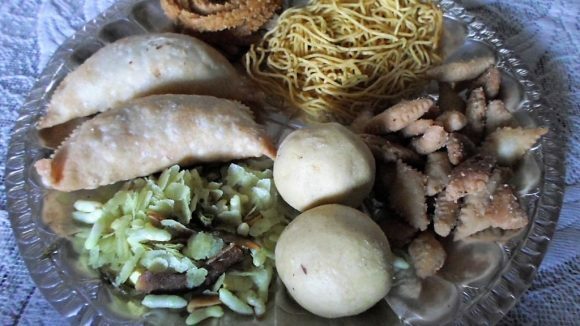 This is a unique mix of the traditional Maharashtrian Poha and the flavor of a Chinese sauce. Wash the Rice Flakes in a strainer and keep them aside for five to seven minutes. Then add Lemon Juice, Salt, Spring Onion and mix it well. Heat the Oil in a Kadhai and add the Mustard seeds, Cumin seeds, Curry leaves, roasted Chana Dal, chopped Onion, Green Chilies, boiled Potatoes and fry for two-three minutes on a slow flame. Then add the Schezwan Sauce and mix it well. Add soaked Rice Flakes Coriander, Spring Onion and mix it well. Garnish with Coriander, Spring Onion and Serve hot.